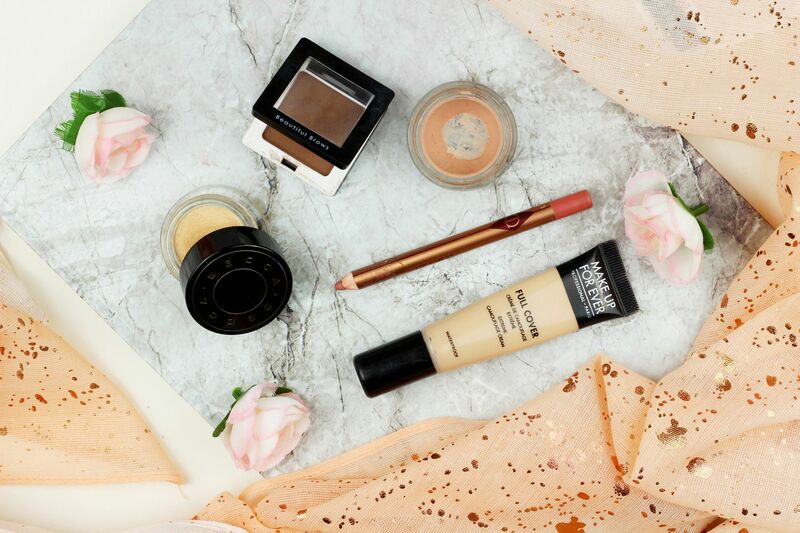 I’ve been spoilt, because the Charlotte Tilbury lip liner in Pillow Talk is just too good and means any other liner I use just pales in comparison. It matches my lip colour so well, and I use it as a base for virtually every lipstick I use. It really is perfect for slightly overdrawing the lips and for adding definition. Ugh, so good. For any blemishes, the MUFE High Cover Concealer is an absolute hero. It’s super, super full-coverage and a pea-sized amount leaves skin perfectly covered without looking too cakey. This is my second tube, and it’s hardy stuff! Not for use under the eyes, but on the face it is perfect. For the perfect base for any eye look, I love using the MAC paint pot in Painterly – it’s almost the same as my skin tone so it does a good job at evening out the lid and it’s a little tacky in texture so any shadow on top of it sticks. Mine is looking very well-loved. For brows, I like using the Beautiful Brows powder – it’s easy to use and lasts all day. My brows definitely need a bit of work in the morning to make them look more presentable. This coupled with the Becca concealer under the brows leaves everything looking nicely defined and a little bit towards an instagram brow. What makeup do you use everyday?